After visiting an exhibition at Burgau Castle I walked along the small pond nearby. Well, it was one of those moments one want to take a photo of ‘both’ churches. The single steeple belongs to the church of St. Jacob’s (Kostel sv. 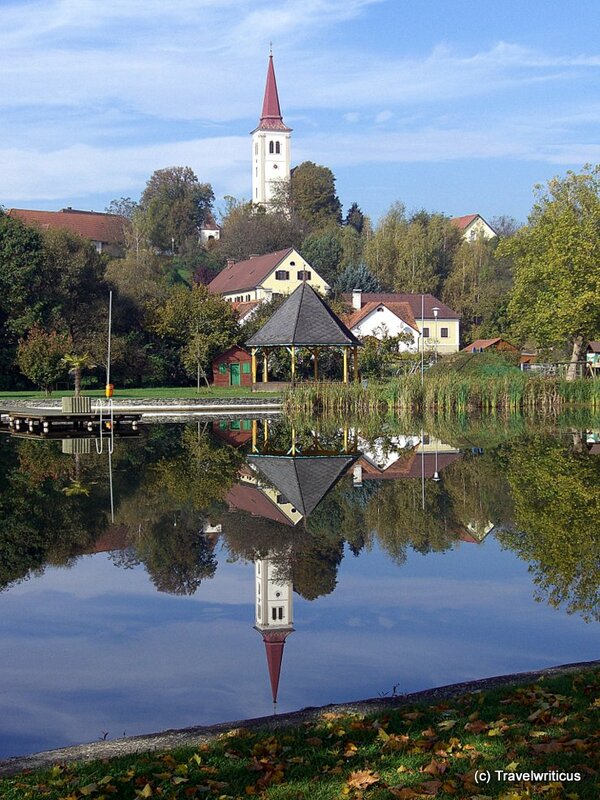 Jakuba), the twin steeples are part of the church of the name of Jesus (Kostel Jména Ježíš). The lake is actually a pond. 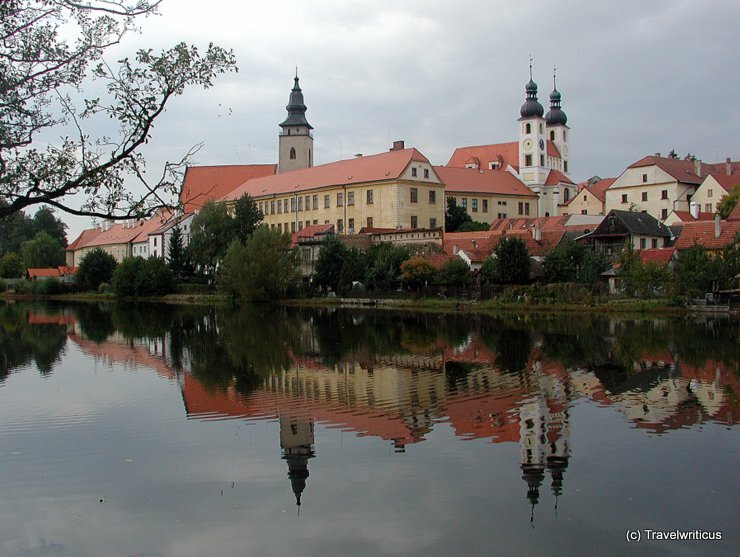 Telč is also known for its richly decorated market place which is listed as UNESCO World Culture Heritage.